If you are an active player in the cryptocurrency community, you probably have come across different cryptocurrency platforms that are created to offer the needed assistance to the community. •	Sensitizing the community to the blockchain system. •	Offering the stakeholders practical tips to maximize the blockchain technology. •	Assisting individuals within the community to invest in digital currencies. •	Teach them how to conduct transactions with digital currencies. •	Assist them to raise funds through Initial Coin Offerings (ICOs). However, there is a cryptocurrency platform that offers these and many more. The platform promises to be the best in the industry. Welcome to ChainCreator, the ultimate platform for all your cryptocurrency-related issues. ChainCreator is a cryptocurrency exchange that offers to give newbies the assistance they need to succeed as cryptocurrency investors. By combining an impressive collection of tools with an experienced team of experts, ChainCreator will offer you whatever you need to make your cryptocurrency dreams come true. ChainCreator goes out of its way to create an environment that is conducive to getting the best out of the cryptocurrency industry and blockchain technology. In order to understand why ChainCreator claims to be your one-stop platform for all cryptocurrency-related issues, let me briefly itemize what the platform offers. Have you ever been contemplating creating and launching a cryptocurrency and raise money by launching its ICO but don’t have an idea of how to go about it? If yes, rest assured that ChainCreator will give you all the tools and assistance you need to create digital currency and fund it by launching the ICO. That will take the stress off your shoulders while you gradually build your own ICO and get more people to support your dream. 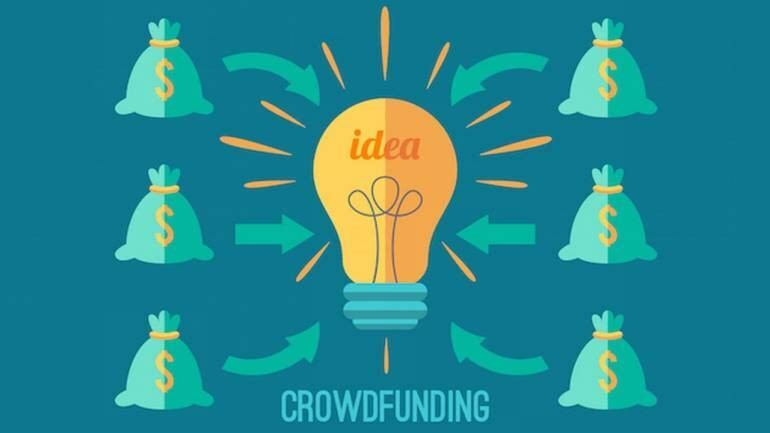 There are tons of platforms that offer to assist cryptocurrency investors to raise ICO crowdfunding. However, ChainCreator stands out from the pack. With this platform, you can conduct safe crowdfunding for your ICO without running the risk of being defrauded. It conducts its ICO crowdfunding through an escrow to eliminate the tendency of being robbed of your money. This will guarantee that you are fully protected against fraud and thus assure your project’s success and credibility. Listing your token on a credible exchange is a necessity for its growth and success. It gives the token the exposure it needs to reach as many potential investors as possible and create the right awareness about its potentials. ChainCreator is the most secure cryptocurrency exchange where you can list your token without the fear of failure. Since you need a credible exchange to increase your token’s chances of success in the cryptocurrency market, this exchange has all the necessary tools to give your token what it really needs: the right exposure. The platform will connect you to the best cryptocurrency community where you can meet other cryptocurrency enthusiasts and share great ideas. The community is made up of teams and experts in the digital world who have years of experience in the cryptocurrency world and are ready to use their knowledge and experience to assist newbies to find their footing in the industry. You will find their wealth of experience a reliable guide to keep you in line while creating a name for yourself in the digital world. If you have a cryptocurrency idea or project, the community is where you can find the support and resources you can leverage to start your Blockchain project on a good note. Sometimes, you may have a blockchain project but don’t have sufficient fund to see it through. That can be quite challenging. ChainCreator won’t only assist you with members that you can share ideas with, it will also help you to raise ICO funding for your project so that you won’t be denied the opportunity to see your project come through due to financial constraints. Through its promotion, many investors who are convinced of your proposed cryptocurrency project will invest in your token and assist you to raise the fund needed for the project. As a cryptocurrency investor, it is imperative that you don’t keep yourself in the dark about events in the community. To keep you abreast of happenings in the crypto world, ChainCreator has a section dedicated to cryptocurrency news. The section runs articles, events, news, meetups, research, and other related components that will boost your chances of succeeding in the digital currency world. It will be quite counterproductive and frustrating if you can’t easily find your way around the ChainCreator exchange and make the best use of its offers. This brings to the forefront one of ChainCreator’s best attributes: convenience of use. The website boasts of an attractive user interface, easy-to-navigate menu, and other features that are designed to give potential users a platform that won’t compound their problems but alleviate them. Another distinction between ChainCreator and other platform is its White Label Exchange. This exchange offers you the opportunity to run a personal crypto exchange if you wish. As a cryptocurrency exchange owner, you will be at the forefront of the cryptocurrency revolution while you trade with your token or ICO’s coin. This will substantially increase your project’s credibility, attract more users to your coin, and be able to achieve an impressive market cap valuation for your coin. •	You can determine your price structure. •	You can set up a passive income system. •	A fully secured platform hosting. •	You can trade in an impressive number of pairs of currency trading. •	Advanced API to assist your traders. .
•	An affiliate system, in-built. •	State-of-the-art and impressive exchange. •	You can offer your traders free airdrops. •	Trading pairs in Euros and Dollars. •	Insurance against first theft. These are some of the benefits you can reap from using this platform for your cryptocurrency-related projects. You can also find effective solutions to your problems and get over them easily.